I'm starting 2013 Street Style with some truly unique style! This little lady caught my style eye straight away, I loved her orange ombre hair with her high metallic boots! These amazing boots are limited edition Dr Martens. 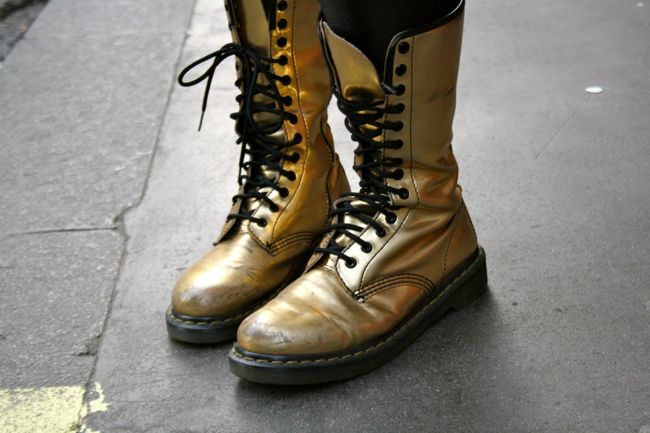 Omg those gold dr. martens are seriously so amazeballs! Love!